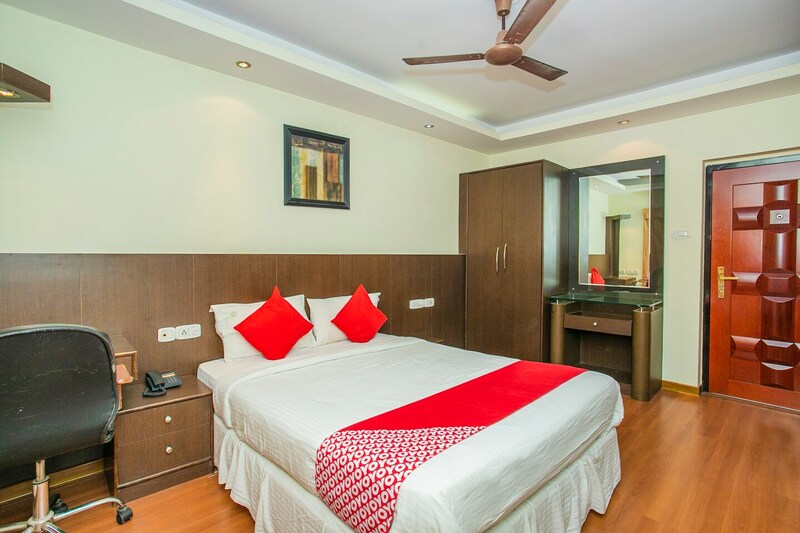 Efficiently furnished spacious rooms situated just so for ease of travel. The rooms offered by the Lotus Suites Serviced Apartment Divof Sagar Health Systems Pvt. Ltd. are very popular in the Bengaluru hospitality circuit due to their numerous facilities. The hotel is close to a number of important landmarks and that is also another reason behind its popularity. The rooms are very spacious and are well-furnished. Paintings have been used to decorate the room and enhance the homely feeling of the room. The rooms are well-lit due to the use of a lot of artificial lights. The extra facilities provided by the hotel are free wifi, card payment in all forms, an uninterrupted power backup source, laundry provisions, and CCTV cameras. The in-house facilities include a common kitchen and a common dining area.